Jane has been practicing law since 1985. Prior to opening her own office in 2002, she practiced with a medium and then a large firm. Jane has been AV rated in Martindale Hubbell since inclusion. She has been listed in The Best Lawyers in America since 1995 and in Missouri & Kansas Super Lawyers Magazine from 2005-2014. In 2015 Jane was selected by her peers to be included by The Best Lawyers in America as “Franchise Lawyer of the Year” in St. Louis. In 2010, she was listed as one of the top 50 Women lawyers in Missouri by Missouri & Kansas Super Lawyers Magazine. Jane has always focused her practice on general business matters primarily involving small businesses including litigation with concentrations in franchise/dealer law and real estate/construction law. Jane also regularly serves as an arbitrator and mediator in commercial, consumer and employment matters. 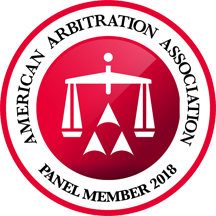 These include being an arbitrator for the commercial and construction panels (including large and complex cases) for the American Arbitration Association; arbitrator and mediator for Aequitas Alternative Dispute Resolution; conducting employment mediations for the Equal Employment Opportunity Commission (“EEOC”); conducting foreclosure mediations for Madison County, Illinois; serving as a neutral for the U.S. District Court for the Eastern District of Missouri; and serving as a mediator for disputes pending before the Circuit Courts for the City and County of St. Louis. Jane has a BBA in finance from The University of Iowa and a JD from St. Louis University School of Law. She is a certified Women-owned Business Enterprise (WBE) by the State of Missouri, Office of Administration, Office of Equal Opportunity. Jane has the qualities one seeks in a lawyer. She is honest, a straight shooter, fiercely loyal and a deal maker. She is constantly looking for ways to handle matters and resolve disputes as simply and quickly as feasible. After all – time is money. She is always cognizant of the client’s goal giving due consideration to the long term effect legal decisions may have on her client or her client’s business. An attorney once described Jane as “cordial but firm.” Friends send their family members to her. Lawyers hire her to handle personal matters for them and their companies. Jane has been an active member of the American Bar Association Forum on Franchising since 1985. She has been published in both the Franchise Law Journal and The Franchise Lawyer. She has written on multiple occasions for the St. Louis Bar Journal and has lectured on various business, franchise, real estate and ADR topics for The Missouri Bar (MOBAR) and the Bar Association of Metropolitan St. Louis (BAMSL). She has also served on many MOBAR and BAMSL committees.